Daniela Clynes and Esther Bennett sing songs by songwriter & composer, Duncan Lamont; alongside the maestro playing saxophone and telling stories from his long music career. Duncan Lamont Songbook show in Greenock, Scotland (Duncan’s childhood hometown)! Daniela, John Crawford (piano), Simon Little (bass), Tristan Banks (drums) & Guille Hill (guitar) performing at the 606 Jazz Club - Sunday 27th January 2019. Daniela’s gig with her Quartet, plus guest guitarist, Guille Hill at London’s famous 606 Jazz Club. Going back in the studio soon! 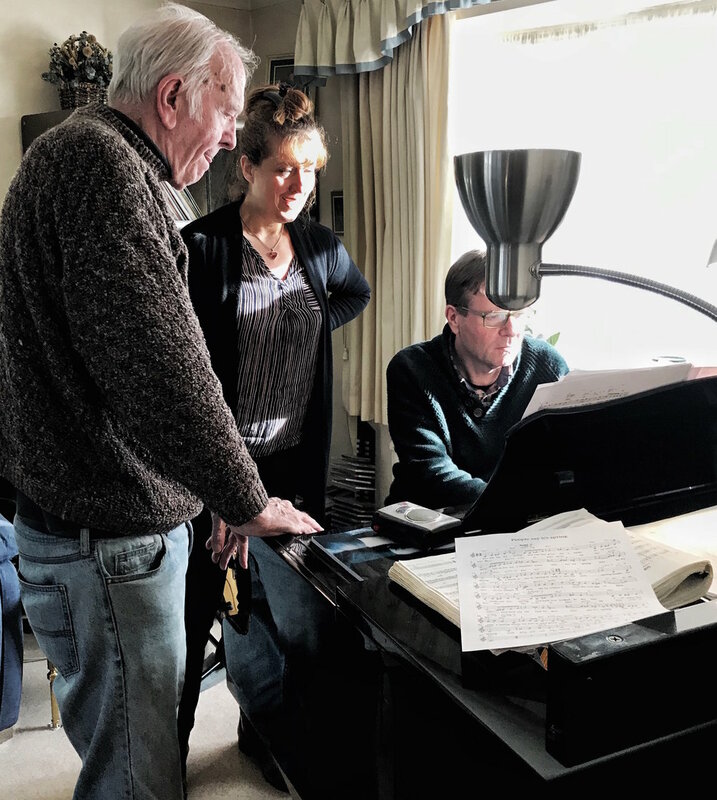 Daniela is about to record a few new songs written by veteran songwriter / composer, Duncan Lamont with the maestro playing saxophone on the tracks. A filmed interview with composer, songwriter, saxophonist, Duncan Lamont. Daniela asks him about his long and varied career in music.